God Help Me! is a book about suicide awareness. Some estimates claim 150,000 Vietnam veterans have committed suicide since the war. One veterans commits suicide every 65 minutes. Post Traumatic Stress Disorder is the leading cause. Read what it is like to live with PTSD. 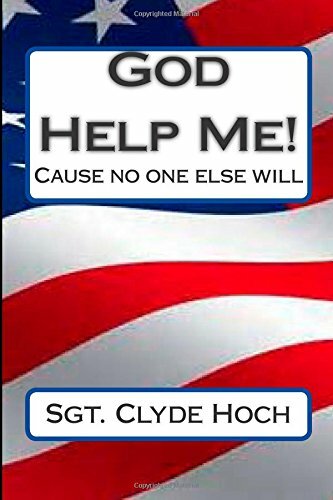 If you know someone who served in combat and seem to have issues I strongly suggest you read this booklet and pass it on to them. If your husband or son or daughter served in a war this booklet may help you to save their life. The profits from this booklet will be used to set up a world wide network to unite a veteran mentor with a veteran mentee. The veterans mentoring program works well. Who knows a veterans issues better than a veteran? Who better to help a veteran than another veteran? A sensitive issue, indeed. I wish Sgt. Hoch best of luck!